Miniature sized Arkansas blue phantom cluster with ghost - and how can we put this delicately? - clay balls...the better to ground you with. As you'll see in person, there's quite a lot going on with this cluster. 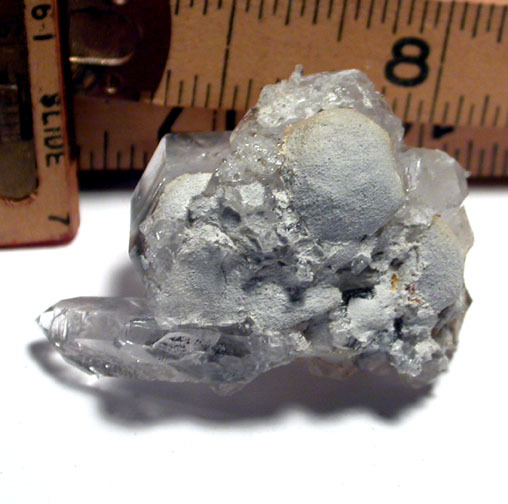 The very bright and clear main crystal is slightly flattened, penetrated, has a regrowing old chip with record keeper, and a layered white and blue [manganese] ghosted phantom. 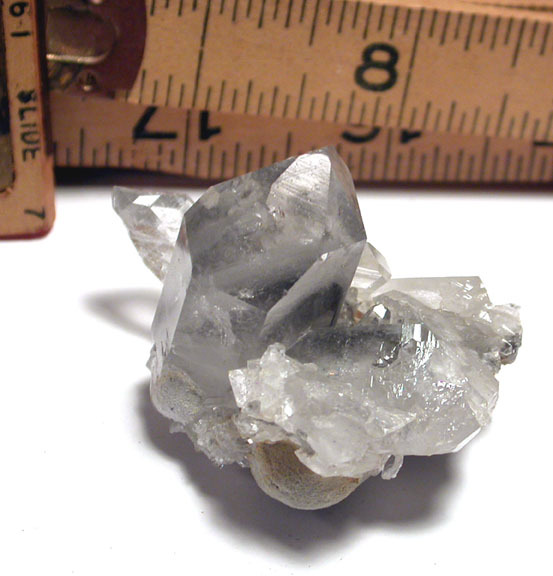 Truly tabular crystals complement, along with doubly-terminated crystals, a castled point, brilliant regrowth, and really unique sandy clay mamillary base shape. 1-1/2x 2x 1-3/8" tall, the fabulous main point being 5/8x 7/8x 1-1/2".